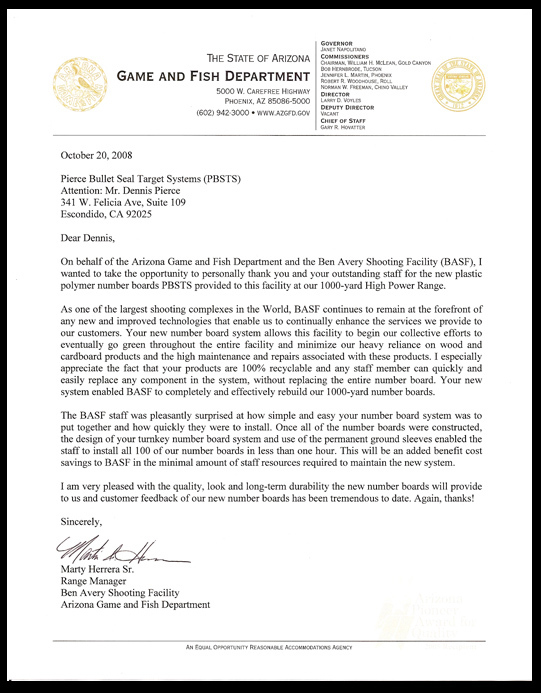 Professionally managed and operated by the Arizona Department of Game and Fish, The Ben Avery Shooting Facility (BASF) is one of the largest shooting complexes in the world. 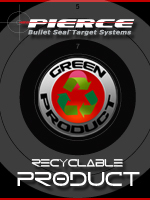 BASF recently made the decision to replace their worn and antiquated number boards on their 1000-yard High Power Range with the fully recyclable Pierce Bullet Seal System Number Boards. 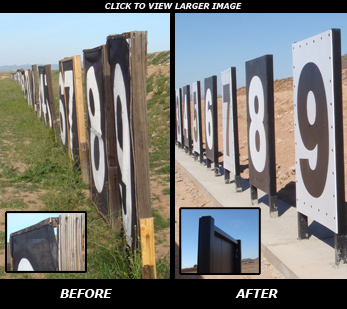 On behalf of the Arizona Game and Fish Department and the Ben Avery Shooting Facility, I wanted to take this opportunity to personally thank you and your outstanding staff for the new plastic polymer number boards PBSTS provided to this facility at our 1000-yard High Power Range. As one of the largest shooting complexes in the world, BASF continues to remain at the forefront of any new and improved technologies that enable us to continually enhance the services we provide to our customers. Your new number board system allows this facility to begin our collective efforts to eventually go green throughout the entire facility and minimize our heavy reliance on wood and cardboard products and the high maintenance and repairs associated with these products. 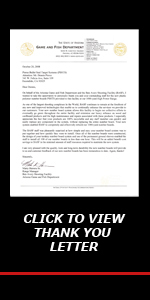 I especially appreciate the fact that your products are 100% recyclable and any staff member can quickly and easily replace any componant in the system, without replacing the entire number board. 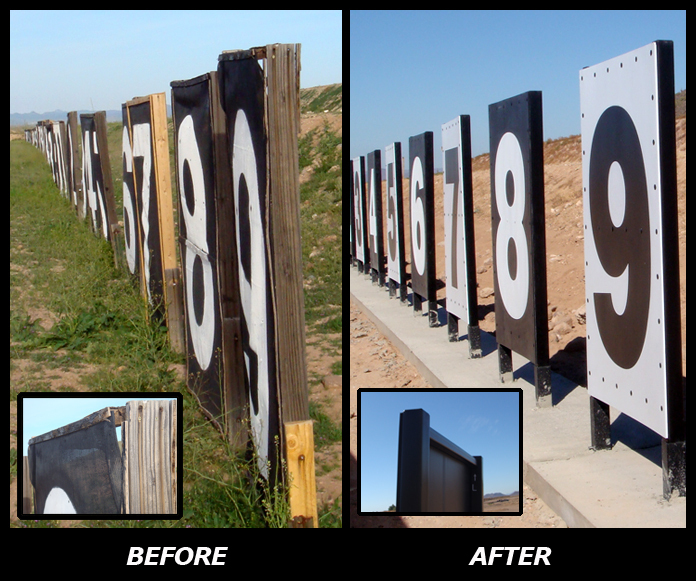 Your new system enabled BASF to completely and effectivly rebuild our 1000-yard number boards. The BASF staff was pleasantly suprised at how simple and easy your number board system was to put together and how quickly they were to install. Once all of the number boards were constructed, the design of your turnkey number board system and use of the permanent ground sleeves enabled the staff to install all 100 of our number boards in less than one hour. This will be an added benefit cost savings to BASF in the minimal amount of staff resources required to maintain the new system. I am very pleased with the quality, look and long-term durability the new number boards will provide to us and customer feedback of our new number boards has been tremendous to date. Again, thanks!